Each year, on the third weekend in August, Highbridge holds their Homecoming Festival. The festival, which begins on Friday night and lasts through Sunday afternoon, brings together the town of Highbridge and surrounding cities to celebrate the heritage of the Highbridge Community and its namesake bridge. The bridge was originally opened to rail traffic in 1877 and has been through multiple changes since then. The current bridge was designated an engineering landmark by The American Society of Civil Engineers in 1986. 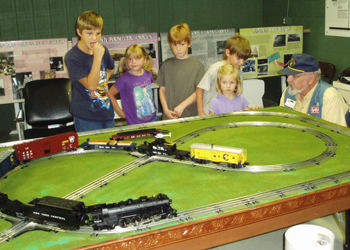 The Highbridge Homecoming Festival began in 2008 and The Bluegrass Railroad Club has provided train layouts every year. Berea, KY holds its annual L&N Train Days at the historic L&N brick depot on the first Saturday in June. The depot is the last remaining brick depot on the former L&N rail line between Cincinnati, OH and Knoxville, TN. 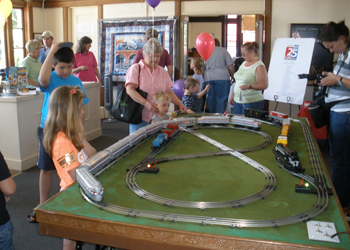 The club has provided a train layout for public enjoyment at this event for several years.